Even a $31.5 million bid won't snag Huguette Clark apartments for Qatari P.M. The view from Apartment 8W at 907 Fifth Avenue, a view that Huguette Clark gave up for the last 20 years of her life. The 5,000-square-foot apartment could still be yours for $19 million. 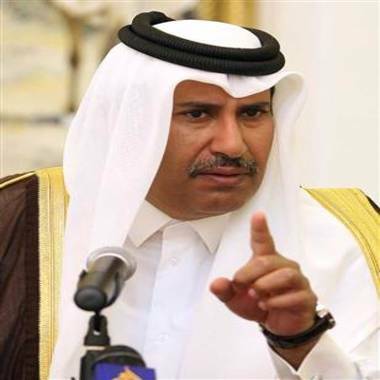 NEW YORK — The prime minister of the Persian Gulf nation of Qatar was rebuffed this weekend in his attempt to spend $31.5 million for two of the New York co-op apartments of the reclusive heiress Huguette Clark. A person familiar with the decision said the co-op's board declined to grant the sheikh an interview, concerned primarily that the quiet character of the elegant building would change with the security demands of a foreign leader. He would be replacing, after all, a woman who was the world's quietest neighbor, having lived the last 20 years of her life in New York hospitals. Huguette Marcelle Clark, the heir to a Montana copper fortune, has been the subject of a series of reports on msnbc.com about her vacant properties and the management of her fortune. When she died last May at age 104, her properties included three apartments at 907 Fifth Avenue, at East 72nd Street, overlooking Central Park's Conservatory Water, near the statue of Alice in Wonderland. The prime minister and foreign minister of Qatar, Sheikh Hamad bin Jassim bin Jaber Al Thani, photographed in 2006. He was rebuffed in his effort to buy the New York apartments of the late reclusive heiress Huguette Clark. The Qatari prime minister, Sheikh Hamad bin Jassim bin Jaber Al Thani, was selected by the Clark estate after an auction, offering $31.5 million for Clark's two apartments on the 8th floor, a total of 10,000 square feet. That's half a million dollars more than the asking price. Hamad, who reportedly has two wives and 15 children, owns one of the largest yachts in the world, the 133-meter al-Miqab, which cost several hundred million dollars. Clark's third apartment, on the top floor, the 12th, found a buyer soon after it was listed, at or near the asking price of $24 million. The buyer is Boaz Weinstein, the well-known hedge fund manager and derivatives trader, formerly of Deutsche Bank and now with Saba Capital Management LP. He has signed a contract and is awaiting an interview with the co-op board. The three apartments combined cost Clark (and her estate) $28,500 a month in co-op fees, or $342,000 a year. The Qatari had not made the highest bid for the 8th floor apartments. He offered $31.5 million, less than the top bid of $33 million, according to a person familiar with the auction. The other bidders were the founder of a private-equity firm and the founder of a hedge-fund firm. It wasn't clear why the estate chose the lower bid. But the auction became moot after the co-op's board changed its mind, deciding not to allow the two apartments on the 8th floor to be joined into one. Even though the apartments had been listed separately, the estate had accepted bids only for the two together, after the co-op board had signaled that it would look favorably on a combination. But the board changed its mind after the auction, and the board declined to grant an interview to the Qatari, even if he were to purchase only one of the two apartments. Besides the security issues, the board was concerned about the disruption of construction, as well as the long-term imbalance of having a single owner with so large a share of the building. The Qatari had also let it be known that he was willing to pay top dollar for other apartments in the building for staff and relatives. Hamad is not only the prime minister but also the foreign minister of the emirate, and is the cousin of the emir, the country's hereditary ruling leader, Sheikh Hamad bin Khalifa Al Thani, who owns a house just down the block and across 72nd Street, between Fifth Avenue and Madison Avenue. 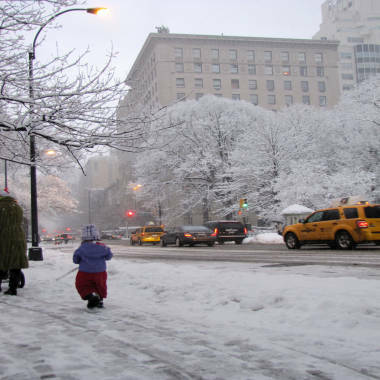 A winter view of 907 Fifth Avenue in New York City, at 72nd Street on the east side of Central Park. The taxis in this view are headed east on 72nd, leaving the park. Now the real estate brokers must start over. 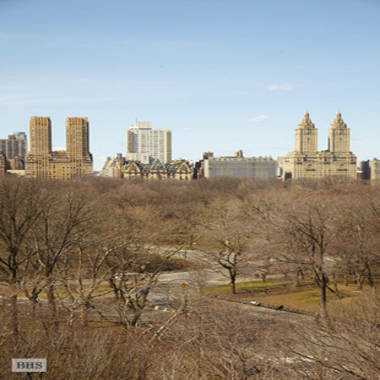 Perhaps one of the other bidders will want to purchase only the $19 million apartment 8W, facing Central Park, or the $12 million apartment 8E. The apartments are said to need a lot of work, and the kitchens date from before World War II. The brokers from Brown Harris Stevens declined to comment, as did the attorney for the public administrator of New York County, who is executor of the estate. Proceeds of the sale will help pay estate expenses, with the remainder held for the winner of the court battle over the $400 million estate of Clark, who left two wills, one favoring her family and the other favoring her nurse, attorney, accountant and a public museum to be established in her oceanfront $100 million home in Santa Barbara, Calif. Her country estate in New Canaan, Conn., has been marked down to $17 million from its original price of $23 million. The New York Observer reported earlier Monday that the co-op board rejected a bid from an unknown buyer. Floor plans for the three apartments are available in our previous story. Rahul Kadakia of Christie's Auction House displays jewels discovered in heiress Huguette Clark's safe deposit box, including a pink 9-carat diamond ring.